Huawei had previously confirmed that the company was working on a foldable 5G smartphone and soon announced that it would be launched at MWC 2019. The Chinese smartphone maker has now shared a press invitation on Twitter for an event at 2:00 PM (6:30 PM) IST) February 24, 2019, in Barcelona, just one day before MWC 2019 begins, and four days after Samsung’s own Galaxy Unpacked event. The invitation image shows what appears to be a hinge of a foldable smartphone, which gives us a slight hint with regard to the design. The press invitation, which was shared by the official Huawei Mobile Twitter handle, shows the silhouette of a hinged smartphone and leaves little doubt about the product that Huawei is expected to launch during the event on February 24, 2019, in Barcelona. 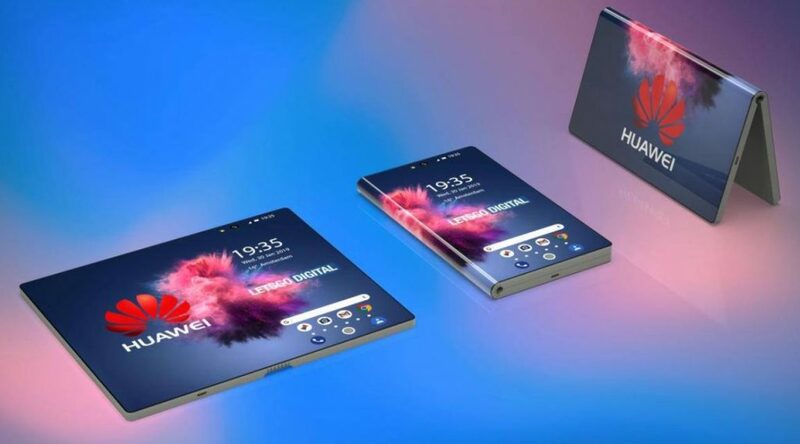 Earlier this month, Huawei announced plans to launch later this year what the company calls the first foldable fifth generation smartphone on MWC 2019. The foldable smartphone of the Chinese smartphone maker is expected to be equipped with the internal HiSilicon Kirin 980 SoC and the Balong 5000 modem. Rumors about Huawei who reportedly worked on a foldable smartphone first appeared in the fourth quarter of 2017, followed by another report claiming that Huawei wants to boost Samsung by launching a folding smartphone for the Korean giant. But it looks like Samsung will take the crown here, because the company has already planned a Galaxy Unpacked event on February 20, where the Galaxy S10 series is expected to be launched next to the foldable Galaxy smartphone. Coming back to the upcoming foldable 5G offering from Huawei, it will reportedly have a 7.2-inch display. Huawei reportedly will produce between 24,000 and 30,000 units of the upcoming smartphone in the initial phase, but it is not known in which markets it will eventually arrive. The announcement of Huawei is still a few weeks away, but with companies such as Samsung, LG and Xiaomi throwing their hat in the foldable smartphones segment, 2019 seems to be the year in which the foldable form factor really becomes mainstream.